The Grove by Rockwell is definitely hereas it is set to transform the Ortigas horizon now that Towers A and B will top off in five short months. 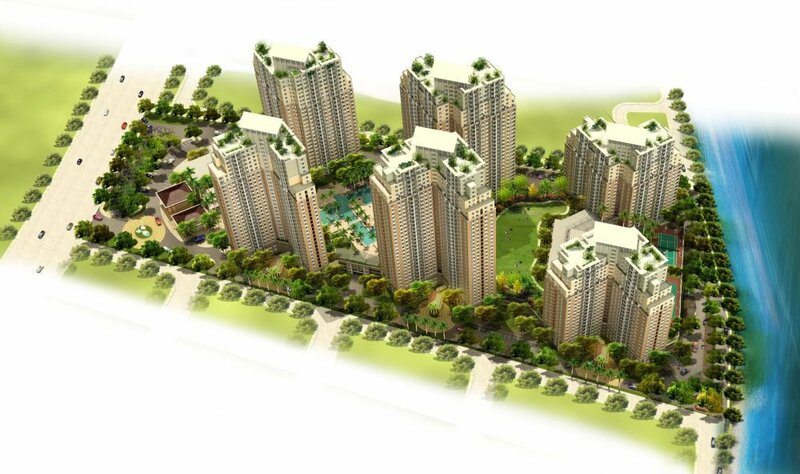 As early as October 2011, unit owners will be able to view the much-anticipated structures of the first two Grove towers. Construction is in full swing and on time definitely stirring up excitement with unit owners and investors who look forward to the towers turn-over in June 2012. At present, amenities such as the first-class function rooms, spacious game rooms and resort-inspired swimming pools are almost ready for completion fast taking shape alongside the different units. 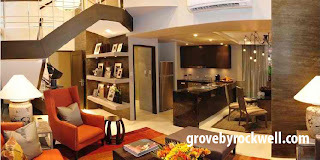 With Towers A and B already 90% sold and with 20% off Towers C and D already ravenously purchased by the market, The Grove is yet another Rockwell development set to make its mark, take its place and further elevate the bustling Ortigas area. We are excited to see the first Grove residential towers rising in Ortigas this coming October. Rockwell is definitely ecstatic about this expansion, adding the distinct lifestyle we promise and deliver in an already vivacious city, said Valerie Soliven, VP of Sales and Marketing. 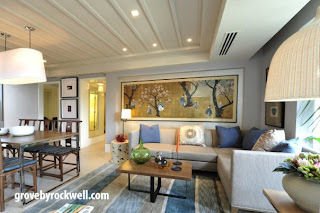 Situated along E. Rodriguez Avenue, The Grove by Rockwell is set to cater to more people who desire the Rockwell Lifestyle from the first Makati development. The Rockwell Lifestyle has been continuously achieved through the creation of secure, exclusive and relaxing communities through top notch developments designed with the utmost attention to detail and international standards. The Grove by Rockwell is a sprawling 5.4 hectare property with a notable 75:25 landscape to building ratio - meaning more lush and green spaces to give unit-owners that resort-like ambience right outside their very own units. Along with the six magnificent towers to rise, the nature-refreshing features of The Grove will surely give its community an everyday vacation experience. While a top of the line gym, dance studios, tennis, basketball and volleyball courts, scenic bike trails and lap pools are perfect for anyone who wants to maintain an active and healthy lifestyle. Its prime location in the city also ensures that world-class hospitals, schools and business hubs are nearby for the convenience of its residents. The luxurious and exquisite living Rockwell guarantees its residents will definitely be something to look forward to at The Grove. 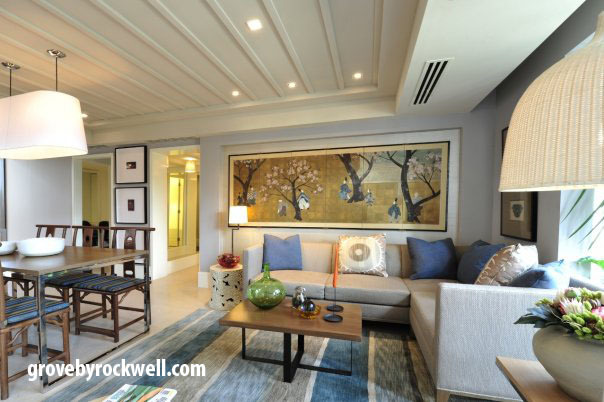 For as low as Php 7,000, a month, young professionals, emerging entrepreneurs and starting families can finally discover, experience and relish their first home bundled with the desired Rockwell life and style in Ortigas.